If you don't make the call on them you are basically sanctioning them. You do not have to identify yourself to FWC, I have busted many poachers in my time and that is the main reason I am incognito on this forum. Once I even had a shotgun blasted in my direction on Molasses Reef when the captain of dive boat asked me to get a poacher’s boat registration numbers by snorkeling over to where I could see their bow numbers. These jerks were spear fishing in Pennakemp out of a go fast boat. They managed to out run the Marine Patrol after they spotted them coming... I was unable to get their registration numbers after the lookout fired the warning shot in my direction. This occurred in the mid 1970’s. After that incident I basically became an unpaid poacher buster. If you are not going to drop the “Dime” on this group add more details on this forum about the location of this bridge and the time of the day etc. If you're not part of the solution then you're part of the problem. Call FWC. Maybe make a quick run to the ranger station at ec. They are probably in touch with FWC. so...just for future reference what is the FWC tip line? By thinking that the bait shop would call is a gamble. They are making money selling bait to the poachers. Go direct and don't think it's to late to call since it already happened. High chances that they or a dozen others frequent that spot and do the same. y'all inspired me to report something sent to me on social media today, but the FWC agent seemed annoyed to take the call and directed me to report online(would prefer remaining anonymous). Gotta love the enthusiasm from the agent there! And we wonder why the State is going s**t! Great first post. The lack of interest of a low level phone operator is not the reason our state is going to s**t. Dont be so emotional, get over it. The people who break the laws and take advantage are the reason our state is going to s**t. What were you reporting? Had a pretty disappointing experience a couple years ago at Guana. Similar problem there, numerous people keeping under/oversized fish, all species. This goes on all the time, and gets way worse when the dam is running. I make the call to FWC and they say they cant make it out there today but i can be their "secret squirrel" and let them know when this illegal activity is occurring and who the culprits are. I tell them if the day ends in y it is occurring, and it doesn't take a rocket scientist to figure out who the culprits are. They don't do anything about it. They need to crack down on this bs. FWC does a good job, but with limited resources FWC can't be everywhere everytime. Continue to call when see these instances occur. Tarponator can explain this away. He will help. 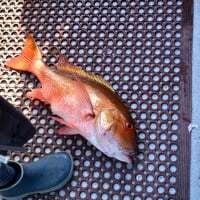 But yet they take plenty of federal money and are all over federal red snapper. Seems odd a limited state agency that is spread thin would waste resources patrolling federal waters. Then I found out that's where the money is. Same old same old! FWC patrols federal waters as part of the job. If you are not seeing Officers check inshore waters as much as you would like discuss this with a FWC supervisor at your local office. IMO they are stealing from all of us and our children. Narc 'em right out everytime. Agreed. If your not part of the solution your just as much of the problem. If you can get your local CO's cell number that is always the most efficient way to report. I was a CO for 18 years and I always gave out my cell to informants that I knew I could trust to give me good info. Now good info means a registration number off of the car or boat and a good description of the "bad boys". Just because you dont see them show up does not mean they arent there. Many people hide their illegal fish. Any good CO is going to watch from a distance with binoculars or show up in plain clothes in order to observe, sometimes for hours before moving in for the bust. If its a very popular fishing spot with lots of people we would let the poachers leave in their car and pull them over far from the fishing site and make the bust. That way the others still fishing would not know we are working the area. Even if no one can get there your info will be held until they run into that boat or car again. But if you dont call nothing will happen. There is no game warden crystal ball. Yea, never walk up and open another persons cooler, leave that kind of stuff to the Law. If you can see what they have in plain sight then great, unfortunately good crooks are all to common these days. I once watched a poacher who was diving under the long boat key bridge. I saw a car parked and no one around then this head pops up in the water under the bridge about 50' out. I watched the guy, he just sat there looking around and it looked suspicious. After he determined it was clear he got out and went over to the car and opened the trunk and loaded some spearfishing gear. Then he went back into the water and again sat there looking around. Then he came out of the water towing a huge 40"+ snook. Tossed it into the trunk got into the car and drove off. I called the FWC and reported his tag but they told me they could not pull him over and check is trunk on the road. that one got away but, on another occasion I saw a similar thing and called. The FWC was there very quickly and caught the guy in the water with an undersized grouper. There is a lot of poaching going on under that bridge. I don't understand why the FWC could not pull him over and search the car. When you called and gave them the information that should have been sufficient probable cause to check the trunk. However if you called anonymously the probable may not have been sufficient for a stop of the vehicle. I had a report to FWC on a pretty well known captain that was doing illegal stuff. Well, they caught him at it, let him go, and then I got a cease and desist letter from the captain's lawyer! Of course I laughed it off, but I will not report again unless anonymous. Oh, and forget about NOAA Law Enforcement. If it isn't a multi million dollar case, you are wasting your time with them. If FWC won't do anything, maybe ICE will?